Can Women Have It All? Hope Katz Gibbs is a journalist and graduate of the University of Pennsylvania’s Annenberg School of Communications. She is the founder and president of Be Inkandescent: The online magazine for entrepreneurs, by entrepreneurs. Her newest endeavor is Inkandescent Public Relations, a PR, Marketing, Publications and Design firm founded in 2008 that helps entrepreneurs get the visibility they need to keep their companies growing. in 1986, launched the e-publication to spread the word about the great entrepreneurial businesses and ideas her clients were spearheading. The online magazine also offers useful tips to other entrepreneurs who are either new to the “work for yourself” world, or are looking to take their companies to the next level. The gem of the magazine is a regular feature, Entrepreneur of the Month, which spotlights a business owner who earns at least $10 million a year, has been in business for 5 years, and is still running the company they created. These heavy hitters also offer Tips for Entrerpreneurs. Can women have it all? What does having it all mean, anyway? If you do manage to achieve this ideal, do you end up with regrets? What advice do successful women have for others—especially younger women and men who are starting out in their careers? Hope posed these questions to dozens of Truly Amazing Women, as well as a handful of amazing Millennials, and some stellar men. In turn, Hope received dozens of responses from these folks, who are working in a variety of industries—from government execs, and entrepreneurs whose companies generate multimillions, to artists, authors, and the intrapreneurs who are building companies from the inside as employees, and consultants. I was honored and thrilled when Hope invited me to participate and contribute to the conversation. You will see my answers to the question below. But don’t stop there, read on to see what other women had to say and let us know your thoughts about this important topic! Who she is: As chief executive officer of Success in the City, Cynthia de Lorenzi leads an unconventional professional networking organization for senior-level executive businesswomen. Her mission is to foster valuable peer relationships and friendships among their community of thousands of followers. Washington Business Journal selected her as one of the top 25 “Women Who Mean Business” in 2006, SmartCEO magazine awarded her the BRAVA award in 2009, and she was awarded SmartCEO’s Circle of Excellence by her peers as well as recognized by Enterprising Women in 2010. Can women have it all? Today’s woman is confident, educated, in greater numbers than ever before, surpassing the number of men who are graduating today. She knows she can make a difference for herself and her family. Can we have it all? Of course we/she/he can have it all! But as I really pondered this question and considered our humanness, inquisitiveness, hunger, passion, burning desires, I wondered if we are really ever satisfied, even when we do have it all. Think about women and men, those whose names we readily recognize, who have accomplished much, achieved amazing success, and accumulated great wealth, obviously having it all. Like Angelina Jolie who possesses great beauty, abundant wealth, stardom, six beautiful children, a beautiful life partner; or Donald Trump, and his wealth, power, and fame, or Richard Branson, founder of Virgin Mobile, Virgin Airlines, who enjoys vacations on his very own private island. What is amazing is that each one of these individuals and their counterparts could simply retire, never work again, and live a life of ease and comfort, watching the days of their lives slip idly by. But none of them is doing that. Angelina Jolie promotes humanitarian causes and is noted for her work with refugees as a special envoy and former goodwill ambassador for the United Nations High Commissioner for Refugees (UNHCR). Bill Gates, one of the world’s wealthiest men, has pursued a number of philanthropic endeavors, donating large amounts of money to various charitable organizations and scientific research programs through the Bill & Melinda Gates Foundation, established in 2000. Richard Branson has his head and heart in space, working on taking us beyond the skies and into the stars. Even if we achieve what we traditionally consider great success and all that goes with it, there is often that something, perhaps it’s a restlessness or a sense of incompleteness, that awakens and begins to drive us. It is something nudging us to take heed and reach deep within ourselves in an attempt to discover and act on a special personal gift that is uniquely our own. Once found, our purpose calls on us to propel it beyond ourselves, out into the world, leaving a legacy that we passed through here in time and space. Any regrets? Of course there are regrets—and hopefully we use those as teachable and learning moments. The greatest regret though is not to discover, own, embrace, and act on that special gift that defines our uniqueness! It is living in our passion that makes us be the best of ourselves. The greatest regrets are those of the dreams that we fail to act on. Advice for others: Life is intended to be lived full-on, tasted, tested, lived-well, savored, relished, and shared. Take, embrace, love it, and let a sense of dissatisfaction or unsettled desire spur you on to find and share your special gift with the world! For more information about de Lorenzi, visit www.successinthecity.org. “International Speaker, Thought Leader, Entrepreneur mentor Cynthia de Lorenzi is the founder of Success in the City and empowers women business leaders in building powerful relationships that lead to deals on heels. Cynthia de Lorenzi is an international motivational speaker, interviewer, panel moderator, social media expert, social instigator, artist and futurist! As a serial entrepreneur and social commentator providing insights to the media, conducting interviews and in delivering speeches on the impact of emerging trends on our culture and economy today. She has addressed conferences around the world, including entrepreneurial leadership in Sweden, TEDx Women and MBA Women International! Washington Business Journal selected her as one of the top 25 “Women Who Mean Business” in 2006, SmartCEO magazine awarded her the BRAVA award in 2009 and was awarded SmartCEO’s Circle of Excellence by her peers as well as recognized by Enterprising Women in 2010. Her organization, Success in the City has been featured in the Business Section of the Washington Post, NPR, DC Modern Luxury Magazine and Washington’s Finest. In conjunction with Success in the City she also launched Success in the City TV. Through her expertise she serves as a social media consultant to companies interested in harnessing the opportunity of encompassing traditional, new, emerging and futuristic media as part of their business platform. She is an expert and frequent speaker on Google+ and the importance of harnessing its power for brand building! Ms. de Lorenzi is passionate about empowering others and the principle of paying-it-forward. 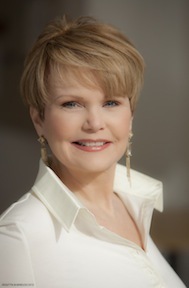 In addition to leading Success in the City, Ms. de Lorenzi serves as a Board member of The Telework Coalition, The Women's Center and Community Business Partnership and as a brain trust member for Globeathon, the global race to build awareness in the battle to fight cancer's below the belt. 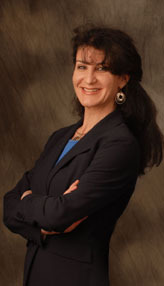 Prior to founding Success in the City Cynthia served as the CEO of PatriotNet, an ISP headquartered in Fairfax, VA. Cynthia de Lorenzi is a frequent speaker, emcee, panelist and media guest on issues related to social media, public policy, workforce and technology and women’s issues. Ms. de Lorenzi is a graduate of George Mason University. e: CdeLorenzi at successinthecity.org! Laurie MacNaughton [NMLS #506562] • As the mother of three young adult daughters, as a financial services professional, as the daughter of highly successful parents, as a sister to siblings who all are leaders in their fields, I can state with some conviction: no one truly can have it all. Life is relentlessly one decision tree after another, and often the path that lies ahead is far less obvious than we would wish. I both read Slaughter’s Atlantic article and heard her interviewed on NPR’s Fresh Air. This enormously admirable woman is all the more to be admired because of her decision to choose family over a stellar career. My only disappointment was her inference that somehow, with enough systemic tweaking, we can have it all. I stayed out of the full-time workforce for nearly two decades in order to teach, guide, protect, and flat-out spend time raising my kids. My contention was – my contention still is – you can step back into nearly anything in life, except your children’s childhood. I like being at the top of my field. I like earning money. I like the power and esteem and influence my position affords me. However, I like having delightful, successful, smart, funny, productive daughters even more. Were I forced again to choose, without a moment’s hesitation I state: my daughters would still carry the day. Is It Global Warming or Global Freezing – Either Way Is It Time to Consider Solar & Participate in Shout Out For Solar Day on Jan. 24th!? New Year’s Day 2014! Traditions: What to Eat and Do to Bring Good Luck and Fortune in the Year Ahead! Even Zombies Know When to Wear Pearls! middleburgreverselad… on Can Women Have It All? terry on Stop Rejecting Me!